Though often perceived as an environmentally-risky practice, biological control of invasive species can restore crop yields, ease land pressure and contribute to forest conservation. This paper illustrates the positive impacts of biological control using the cassava mealybug Phenacoccus manihoti (Hemiptera) as an example. Cassava is a key food, feed and fiber crop grown on around 4 million ha in tropical Asia, where use of a parasitic wasp lowers crop losses, restores farm profitability and slows deforestation. During 2009-2010, the invasive mealybug caused 18% drops in Thailand’s cassava yields, triggering sharp increases in cassava prices and spurring a region-wide expansion of cassava crop surfaces. This coincided with 185-608% surges in peak deforestation rates in neighboring countries. Following release of the host-specific parasitoid Anagyrus lopezi (Hymenoptera) in 2010, mealybug outbreaks were reduced, the cropped area contracted, and the pace of deforestation slowed by 31-95% in individual countries. Hence, when used according to established guidelines, biological control of a crop pest can avert the need for synthetic pesticides, shield tropical biodiversity and deliver long-lasting environmental benefits on a macro-scale. Insects provide invaluable services to humanity, including the natural control of agricultural pests, a service worth at least $4.5 billion annually to US agriculture alone. This week’s study in Communications Biology reveals how a judiciously-selected pest-killing insect – a minute parasitic wasp – helps resolve invasive pest problems, augments crop yields and protects tropical biodiversity. 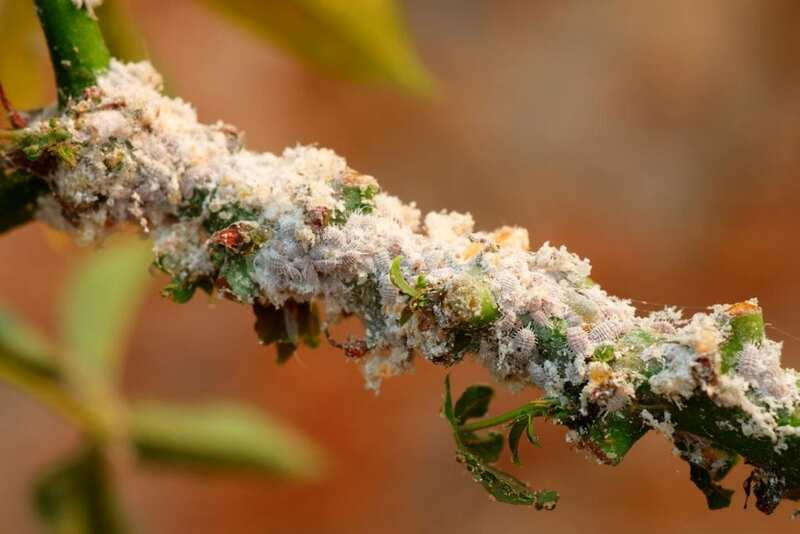 “Insect biological control reconnects insect friends and foes, and restores ecological balance in invaded agro-ecosystems”, says Kris Wyckhuys, agro-ecologist at University of Queensland (Australia) and IPP-CAAS (China), and coordinator of the study. “Such nature-based approaches provide a ‘win-win’ solution that addresses invasive species mitigation, biodiversity conservation and profitable farming. Collaboration between conservation biologists and crop protection scientists can thus be beneficial to balance farmer realities on the ground with biodiversity conservation”. The study underlines the ample environmental benefits of insect biological control, as a desirable alternative to insecticide-based approaches for tackling pest problems, supporting sustainable intensification and sparing land for conservation. “It is often difficult to reconcile socio-economic and ecological issues, and smallholder farmers are regularly tempted to resort to costly and environmentally-damaging chemical pesticides to control pests. This study confirms that appropriate use of biological control can resolve socio-economic, environmental and ecological issues simultaneously, especially in tropical countries”, adds Jean-Philippe Deguine, agro-ecologist and entomologist at CIRAD and co-author of the paper. By opting for biological control, farmers defuse pest problems, enhance profitability of their operations and concurrently become stewards of the environment. When used with established safeguards, biological control can permanently resolve invasive species problems. The scientifically-guided introduction of specialist natural enemies to provide pest control services in field crops is in line with agro-ecological crop protection. As a cost-effective alternative to pesticide-based approaches, and relying upon nature’s services to suppress crop pests, agro-ecological crop protection aims to restore and optimize ecosystem functioning and helps ensure that crop protection benefits farmers’ pockets, consumer and producer health and the broader farming environment.